This should be epic. Ashley Judd will star in the second season of the Berlin Station TV show on EPIX. She joins Keke Palmer, who recently joined season two of the spy drama. Production on Berlin Station, season two, will begin in Berlin on March 31st, in advance of a 2017 season premiere. The cast also includes Rhys Ifans, Richard Jenkins, Michelle Forbes, and Leland Orser. Learn more about Judd’s new role, from this EPIX press release. New York, NY – March 21, 2017 – Premium network EPIX® announced today that Ashley Judd has joined the cast of its acclaimed spy drama Berlin Station as a series regular for season two. The series, from Paramount Television and Anonymous Content, will begin production in Berlin on March 31st with an eye towards a 2017 return on EPIX. As previously announced, also new to the cast this season is Keke Palmer (“Scream Queens”) as series regular, April Lewis. Judd will play BB Yates, Berlin’s disarming new Chief of Station, nicknamed “The Station Whisperer” for her itinerant work in the field shoring up CIA stations in moral or corporate disrepair. Part company loyalist and part maverick, BB toes a dangerous line between serving those above her and empowering those below her. Always a contradiction, she arrives in Berlin to defy expectations and breathe new life into the troubled CIA station she now runs. “We are excited to have Ashley and Keke on board and are eager to begin the second season of this critically acclaimed show in the intriguing city of Berlin with our outstanding partners at EPIX,” said Amy Powell, President, Paramount TV. An eighth generation Eastern Kentuckian, Ashley Judd first proved her acting abilities in her debut feature film role as Ruby Lee Gissing in Victor Nunez’s internationally acclaimed Ruby In Paradise. Having won major acting awards worldwide, Judd has demonstrated her range in a variety of genres and is a proven box office draw. Judd recently appeared in Black Bear Pictures’ “Barry” as Ann Dunham, Barack Obama’s mother, which premiered at the Toronto International Film Festival in 2016. Additionally, Judd was seen in Insurgent, the second film in the Divergent franchise based on Veronica Roth’s New York Times bestselling trilogy, Divergent; and starred in ABC’s mini-series “Missing” as Becca Winstone, an ex-CIA agent who would do anything to get her son back after discovering his disappearance while studying abroad. Judd was nominated for an Emmy® Award for her performance in “Missing.” Judd is represented by WME and Anonymous Content. Berlin Station is a contemporary spy drama that takes a look at the activity of a CIA office on a global stage in the midst of an investigation into a now-infamous whistleblower. 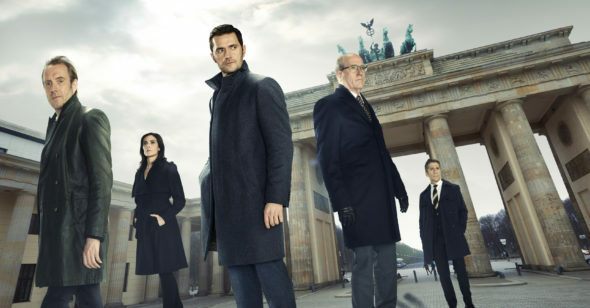 The series follows Daniel Miller, played by Richard Armitage (The Hobbit, “Hannibal”) a new arrival to Berlin’s CIA station who is on a clandestine mission to uncover the source of the Thomas Shaw leaks. Berlin Station also stars Rhys Ifans, Richard Jenkins, Michelle Forbes and Leland Orser. The series is created and executive produced by Olen Steinhauer (author: The Tourist, All The Old Knives, The Cairo Affair). Bradford Winters (“Dig,” “The Americans,” “Boss,” “Oz”) serves as executive producer and showrunner. Academy Award® winner Eric Roth (Forrest Gump, The Curious Case of Benjamin Button, “House of Cards”), along with Steve Golin, Kerry Kohansky-Roberts, Keith Redmon and Luke Rivett from Anonymous Content (“True Detective,” “The Knick,” “Mr. Robot”) also executive produce. The series is produced by Paramount Television and Anonymous Content. Berlin Station season two is part of EPIX’s continued rollout of original scripted series this year, which also features the debut of the 10-episode dark comedy Get Shorty (starring Chris O’Dowd and Ray Romano) as well as the return of its timely comedy Graves (which garnered a Golden Globe nomination for star Nick Nolte). What do you think? Have you watched the first season of the Berlin Station TV series? Will you tune in for the second season on EPIX, to catch Ashley Judd? More about: Berlin Station, Berlin Station: canceled or renewed?, EPIX TV shows: canceled or renewed?